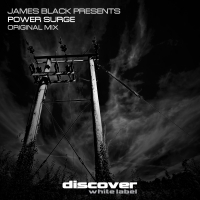 James Black started DJing back in 1999 after his love of music began to take part in his social life, having been inspired by the sounds of Judge Jules and Fatboy Slim. He has DJ'd across London (Ministry of Sound / Turnmills / 414 / Queen of Hoxton / UCL Socials), Berkshire (House of Bamboo / Back2Love/ Zeus / Mix Bar / Facebar / Dirty Beat Radio), Sussex (Tekbeat / Trickstar Radio / Code South FM / Sticky Mikes Frog Bar / The Volks), Ibiza (Club Kancela) and Kent (Club Class / River Bar / Cohesion / Classic Beats) and now presents Tekbeat weekly on Trickstar Radio (Sunday Nights 8pm-10pm on www.trickstarradio.com) and a monthly Tekbeat podcast (www.facebook.com/tekbeat). He predominantly plays Tech House, Techno and Trance, but has been known to play House and Funky House sets. 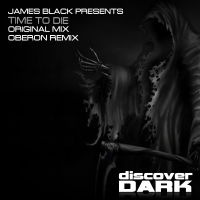 He produces under the name 'James Black Presents' and has self-released 3 albums. He produces a range of styles of music.